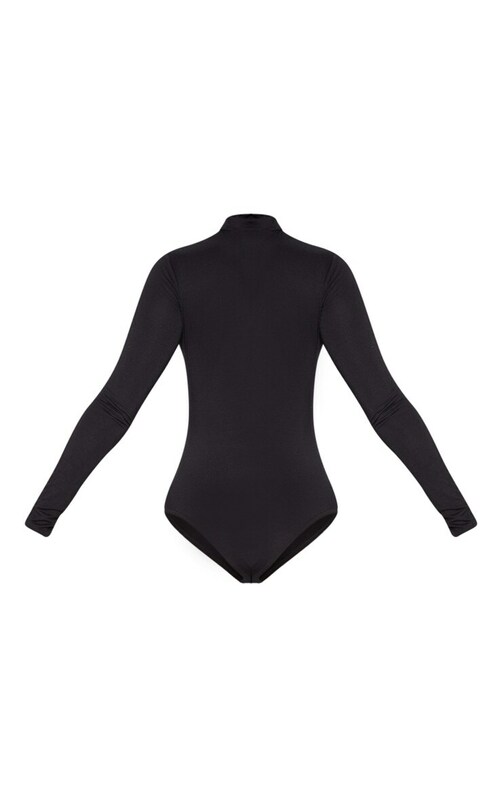 Get maxing out your wardrobe with this killer bodysuit. Featuring a black fabric with a PLT slogan, zip up detail and long sleeves, what's not to love? Team with red joggers and heeled boots for a fiercly feminine look.